Taxi aggregator Ola has announced that it will go app only across its 100 cities of operations from the next month. The company said in a statement “From just about 20 percent of booking requests on the app at launch, Ola now receives as much as 99 percent of its bookings through the app”. Thus taking a decision, “Ola has decided to accept booking requests only through this medium from the coming month”. Till now, users are able to book cabs through Ola’s call centres as well as its app. 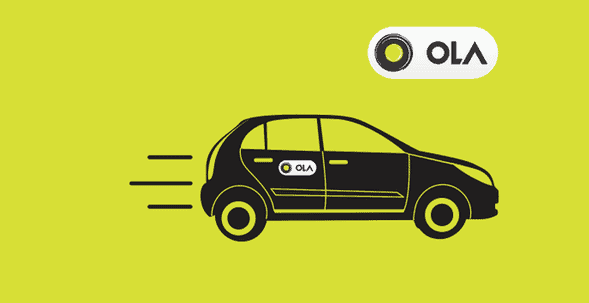 But after going app only, the number will be only available as “Ola care” for customer support and assistance. Ola had launched its mobile app for cab booking in 2011, which now lets users book cabs, auto-rickshaws and kaali-peeli taxis. In May this year, e-commerce firm Myntra had announced it will go app only, shutting down the desktop and browser-based shopping options. Flipkart has also decided to go app only from September and now the decision of Ola has given a sign of where the current trend is moving towards.